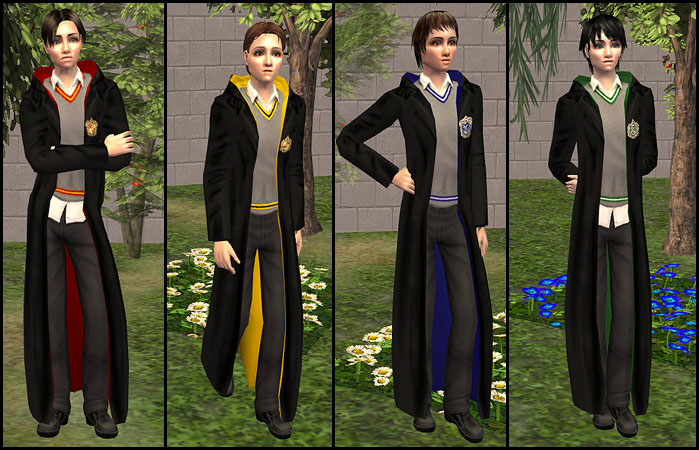 A new set of movie-style Hogwarts uniforms for teenage boys: Black robes with hood and house crests, grey sweaters with stripes in the respective house colours, and dark trousers. Like the robe-less set I made long ago, the robes comes in two styles: A neat one, and a sloppy one with the shirttails untucked. All items can be found under Everyday (and Outerwear if you have Seasons). No expansion packs required. Don't forget to download the mesh! 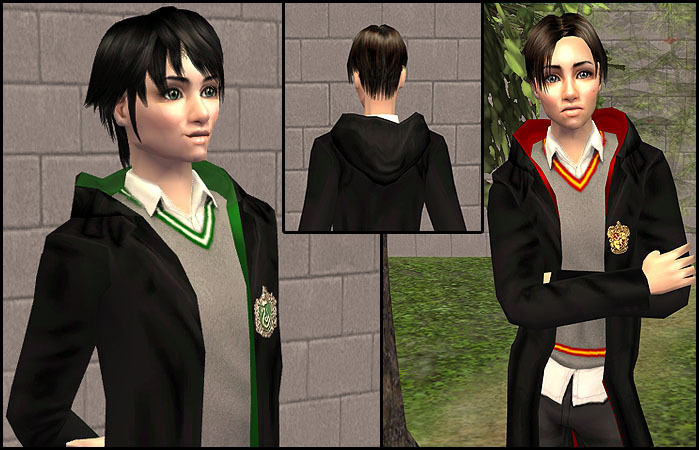 Known issues: In some sitting positions and when the sims move their legs very much, there's some weird clipping in the coloured interior part of the robes around the knees. It's the same as in the original Maxis mesh I used as a base for the robes, and I haven't yet found a way to get rid of it.